Amado and I marched with Barangay LA this past weekend. Well, we did more than that but I'll save the details for another post when its ready. 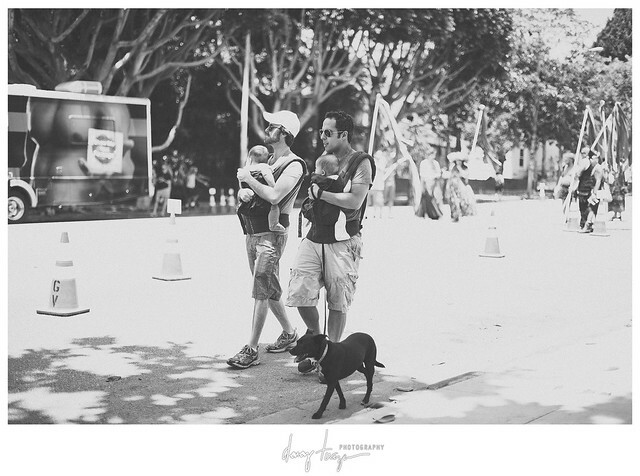 While waiting for the parade to start, I snapped a photo of this couple carrying their kids and a dog. After that "aaaawwww" feeling slowly faded away, I was struck by jealousy. addressed it directly on my blog. I hope others see what I saw when I took this photo. A family thats no different from others.